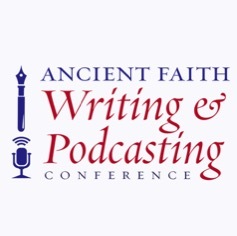 On June 9-11, 2016, Ancient Faith Ministries sponsored a Writers and Podcasters Conference at the St. Iakavos Retreat Center near Kenosha, WI. Speakers included Steven Christoforou, Christian Gonzales, Fr. Patrick Reardon, Fr. Stephen Freeman, Fr. Andrew Stephen Damick, and Angela Doll Carlson. As an active user of social media, Fr. Andrew talks about what he has learned over the years. Fr. Stephen draws on the courage and wisdom of Alexander Solzhenitsyn to help us navigate the spiritual side of being creative. Pop Culture Coffee Hour - Live Recording! Christian Gonzales and Steven Christoforou extensively discuss the popular TV series The Simpsons and explore the humor as well as messages found in the series relative to Christianity and the Orthodox Faith.